In lab tests, Corning claims that Gorilla Glass 6 survived as many as 15 drops from 1-metre height onto rough surfaces and was found to be up to two times better than Gorilla Glass 5. Glass-maker Corning has unveiled a new version of its Gorilla Glass used in the majority of smartphone displays, which it says is twice as likely to survive being dropped. There's a good chance your smartphone's screen is protected by Corning's Gorilla Glass, as that, or another form of tough cover glass, is basically the only thing giving it the slightest chance of surviving a fall. According to a recent study from Toluna, people drop their phones an average of seven times a year with more than 50 percent of those drops occurring at a height of one meter or less. 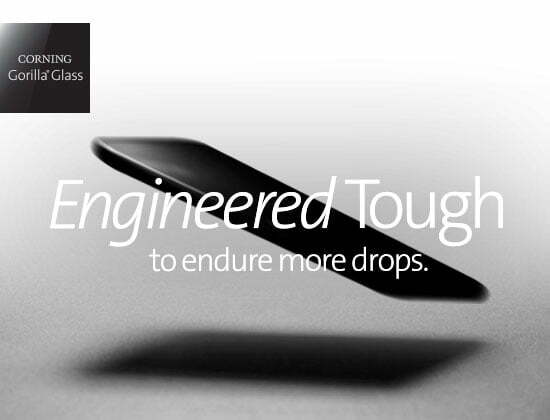 To improve the durability of glass for mobile devices, Corning has developed a new material which is created to withstand multiple drops. If your phone has a rival glass composition, such as soda lime and aluminosilicate, you will be lucky if it survives the first drop, says Corning. Not only was the glass created to better resist drops, but it was also put through the paces to resist scratches from rough surfaces. Corning notes that Gorilla Glass has been designed into more than six billion devices by more than 45 major brands. Expect to see Gorilla Glass 6 on new devices sometime next year; it's now in testing and will continue to be for the next several months. Scratch resistance qualities remain unchanged compared to Gorilla Glass 5. The DX and DX+ follow the Gorilla Glass 6 and their main goal is to reduce reflection. Talking about the differences, Gorilla Glass DX brings enhanced visibility but the same level of scratch resistance as Gorilla Glass while Gorilla Glass DX+ adds a higher level of scratch resistance. Gorilla Glass has been a mainstream feature of many smartphones since the launch of the first-generation Gorilla Glass back in 2008.